Communities now have the opportunity to collaborate and create their own stunning Media Channels. It's easy and anyone can do it! Schools can collaborate and create their own secure media channels for sports days, award ceremonies, class activities, student teacher training tools, etc. "Our Students, Teachers, Parents and Local Business all contribute to our channel. We capture all of our Sports Days, Presentation and Ceremony Events, School Camps, Dance and Theatre Performances are just some of the content we produce in our channel. Parents gladly pay the small yearly subscription to access our channel and Local Business are always keen to advertise." Sports have the opportunity to generate additional sponsorship and advertising revenue, while giving their players and supporters access to channel content collectively created by their people for their people. ... families have a smorgasboard of media choices nowadays and they watch our sports channel every week because families like watching themselves and people they know. The all-in-one platform convenience of the USH LIFE Library, gives our Members the opportunity to collaborate and securely store their special memories for generations to come. Our Local Business and National Sponsors now connect with our community in a positive and meaningful way. 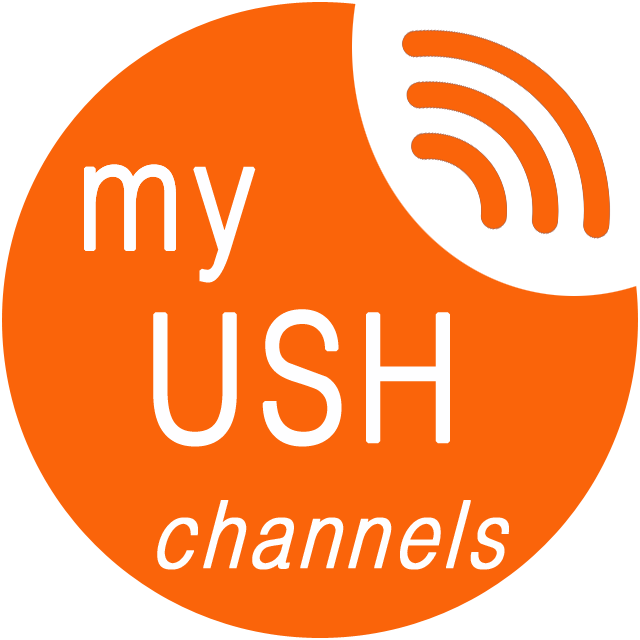 We like the options our USH Channel provides to generate new revenue. Our Members gladly pay a small annual subscription so they can access their unique special highlights and add them to their LIFE LIBRARY. We can now offer our club sponsors priority video advertising in our channel as well. We capture most of our footage from our Club Members and Fans who are always filming stuff. To attract video content we offer small monthly prizes as incentives to upload media to our channel directory. From there we either post immediately or edit the footage in post production before adding to our channel. It's a great way to engage with our members and fans." Community Event Coordinators can generate additional participant - sponsor relationships by seeding ideas for people to film certain activities then upload their content to win a prize. Sponsors can receive prominent "pre and mid roll" advertising positions in various post-production media segments within the events channel. "It's easier to gain Event Sponsors now we have something dynamic and interactive to offer business. Communities are always filming stuff on their phones. We run competitions during events and offer prizes for participants to upload their footage to our media directory. From there; we either post immediately to our free channel or have our Events Team edit footage in post production before approving posts on our channel. Our audience watch because they're either in the clips themselves or they know people in them." Why just a wedding album or video when you can have your own WEDDING CHANNEL. "Our wedding channel is great. We collect everyone's media leading up to our special day. Wedding Cake decisions, Bridal Dress tryouts, Groom/men outfits, Hair Salon with the Bridesmaids, etc. Our Wedding Ceremony was captured from various angles. We liked the choice for friends & family and/or a hire Professional to edit the footage from the media directory. We got more than just a wedding video, we got lots of Unique Special Highlights to cheerish from our special day..
We highly recommend it ..."